1. Click on one of the "Add element" links placed across your pages. The columns will appear just under the link that you will click. 2. In the window that will be opened, click on the second tab - the "Layout" tab. 3. 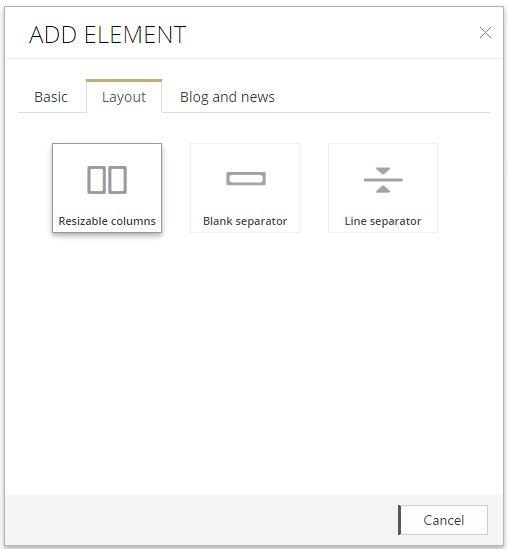 Click the "Resizable columns" element and a new window - "Layout options" will be opened. 4. Enter the number of the columns for the page, and then set the space between the columns by pressing the "plus" and "minus" buttons. 5. 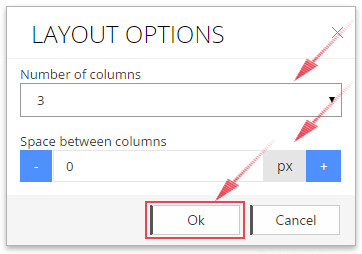 Click "OK" and your web page will be split into columns. 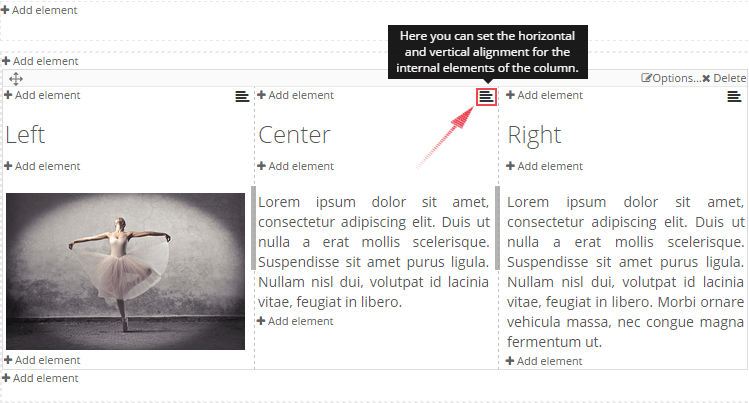 - In each column, by clicking on the "Add element" link, you can enter text, images, icons, videos etc. There are no restrictions and you can enter any of the elements available on the Webstrian platform. 6. Hover the mouse over the columns placed on the web page and at the top of each column you will see an icon in the form of dashes. This icon will open an additional options for the columns. Click on it and the "Column options" window will be opened that will allow you to specify the horizontal and vertical positioning of the elements in the column. 7. Click "OK" and the new settings will be saved.